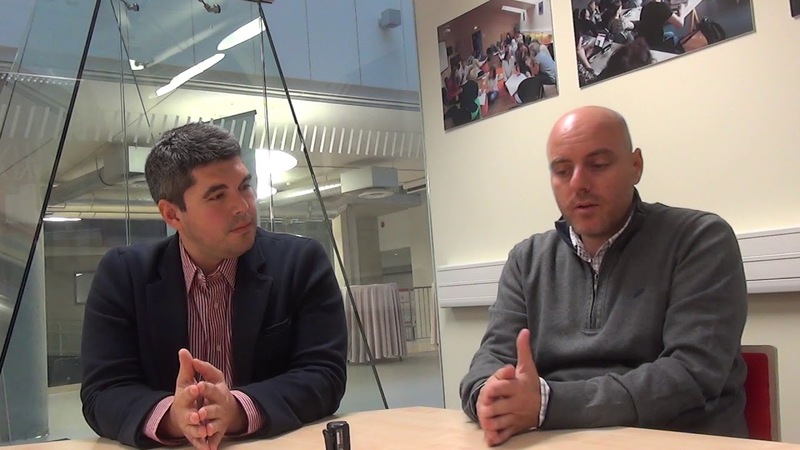 23 Apr 2018 Tallinn - At the open e-IRG Workshop, held 3-4 October 2017 at Tallinn University in Estonia,Primeur Magazinehad the opportunity to talk with Ilja Livenson, an IT specialist working on the Estonian Scientific Computing Infrastructure (ETAIS) project, and George Papastefanatos, a senior researcher and project manager at the ATHENA Research Centre and research associate with the University of Athens, about national and European e-Infrastructure catalogue approaches. Primeur Magazine:The basic problem that you both addressed in your presentations at the e-IRG Workshop, but from a different point of view, is that there are a lot of e-Infrastructures like networks, computing centres and services providing software, and on the other hand there are a lot of potential users. These things are also changing over time. This means that you get new users and new services. How do you bring these two together? This is what you are both addressing but Ilja, you do it more from a national perspective. Can you tell a little bit more about that? Ilja Livenson:In the case of Estonia, the national perspective is a small perspective which is regional. This is an area where people mostly know each other. We approach the matter from the needs of the users and we try to present services that satisfy their needs. As a national body, we are doing the selection of services that the end users would use. Naturally, this is a limited choice. However, we are presenting an added value of an e-Infrastructural know how to provide the most fitting solutions for the end user needs. In Estonia, there are not so many research infrastructures. We do have an issue of integration with the European ones as you mentioned, for the choice becomes much wider and the stability becomes much smaller. There are users coming and going. All this needs better handling. Primeur Magazine:The more demanding users then are turning to international infrastructures like EGI, PRACE or GÉANT. They should turn to your catalogue, George, when it is ready? George Papastefanatos:I don't think these are two competitive approaches. They could also go to a pan-European network and through this network select some more national-wide specific services. Maybe they are more suitable for them, maybe they are offered for this institution in this country. Our approach in eInfraCentral is a more top-down than bottom-up approach. So far, we have five major infrastructures as partners. They provide us with pan-European level services that are offered. We try to harmonize the service descriptions and the different aspects of the services into a common catalogue that could be accessed and browsed by the users. In this respect, many of the services could be offered at the national level, for instance by Estonian infrastructures that are part of a broader or a wider European infrastructure. We think that the route or the path for consuming a service, for accessing a service could be top-bottom as well. Primeur Magazine:This means that if people go to the eInfraCentral catalogue, they could end up with using a service which is provided in Estonia. It is not like whether you would start with five pan-European e-Infrastructures or with one supercomputer and one network. There are already collections of services available. George Papastefanatos:Exactly. There is also the regional aspect. This will be presented within our platform. As a national service provider or an institution, one could also provide a service, describe the service within a common format and be part of this platform. We don't expect that only European infrastructures will offer services but also at different levels, there could be other service providers as long as they describe their services and are trying to reach the right users. We can have service provisioning at different levels, including regional, national and European levels. Primeur Magazine:Do you provide some kind of portal for your users, Ilja? Ilja Livenson:Our general approach is to minimize the human interactions or e-mail exchange. We provide a social portal through which 80 to 90 percent of the actions could be done. The portal also comes with an integrated marketplace, with an integrated service desk, an integrated team management, and a number of other things that are required for the use of the infrastructure on a day-to-day basis. This portal has been developed within Estonia. It is open source and we are welcoming contributions to this. We also plan to integrate with the service catalogue for integration of services beyond Estonia, in order to not have to deal with this kind of service categorisation and curating which is a huge work. It would be nice if this could be done by eInfraCentral. Primeur Magazine:This is something different from what you want to do, George, because you only want to do the discovery. George Papastefanatos:Actually, we are not a marketplace in the strict sense that we would try to negotiate about the price and the options. We are actually mainly a gateway for trying to bring different service providers within a common platform or space so that users can easily navigate through different services at different levels of need and also to have a way for comparing services according to some characteristics. Then, they request the service from the service provider himself. We are not going to offer anything or try to negotiate about the services. We expect that the user in the end will find what he is interested in and what he is looking for. He can request the service either from the European infrastructure or the national infrastructure and then use the option for accessing and getting the service. Primeur Magazine:The scientist who in the end uses the service will not always go to your portal, George, or to yours, Ilja. He can also go to a portal which is more domain-specific. How do you intend to integrate with that? George Papastefanatos:I think the goal now is at the European level to give the researcher - and in general the user might be more than just a researcher - more options and a wider variety of options for the services to choose and select from. Now, we have a lot of infrastructures. Of course, there are some which are domain-specific and some disciplines are focusing on specific services. However, we expect that this scheme can easily be seen under a uniform perspective so that researchers can easily compare and especially researchers who are not aware of what they are looking for or what the offerings are. The goal here is not to address the needs of specific disciplines for researchers who know and use specific infrastructures at the national level. We want to open up this browsing and exploring approach for service discovery to a wider range of researchers and users. Primeur Magazine:Ilja, your portal is already online and working for how long? Ilja Livenson:We went live with a very initial version during the Summer of 2017. Now, there are already several service providers who have entered. By the end of 2017, we will link all the infrastructures in Estonia. There will be a process of migrating the previous users and how they are working now to the central system. This is something that we will be doing in the next year. The goal is to go in production mode by the end of 2017. Primeur Magazine:And how about the status of the eInfraCentral portal, George? George Papastefanatos:For the development of the platform, we are now in the very first round. We are trying to offer functionality for service browsing and search. In the next phase we will try to address the need for automatic service metadata harvesting and registration as well, and to connect with more infrastructures, more than just the five partners that are within our project. We will also work on the alignment of the service description. We are now at the first version 1.1 for the service catalogue, for the service description. This will be incorporated into the next phase within the platform. Primeur Magazine:Thank you very much for this interview and looking forward to using your catalogues.